As with any room, when redesigning a bedroom you may not have all the pieces you need to compete your redesign project. One major piece you may think you need is a headboard. Now the question becomes - do you need a headboard or not? Either way you decide to go is correct. 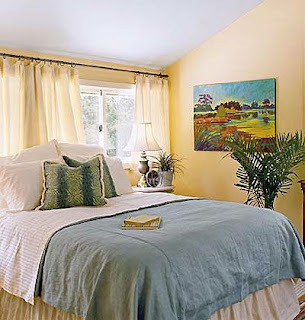 Beds can be just as well-made with or without a headboard. Here are a few ideas for both sides of the coin. If you decide you want to wait to add a headboard later for whatever reason or simply don't want one, you can always place the bed in front of a window and use the curtains as a backdrop. In this case, we added sheer curtain panels to either side of the existing Roman shades in the center. 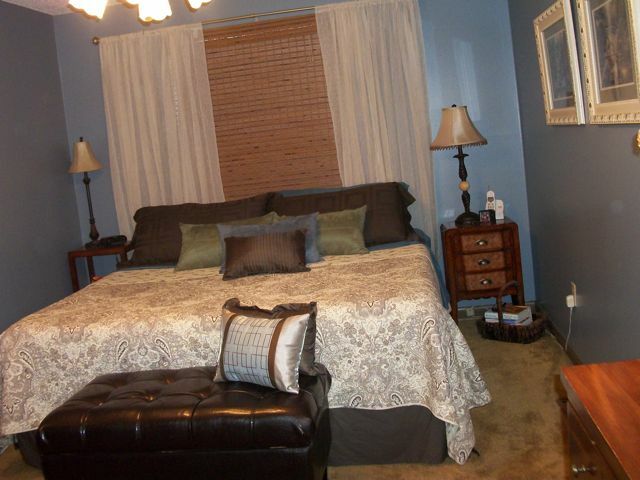 The additional panels framed the bed nicely also giving some height to the room. 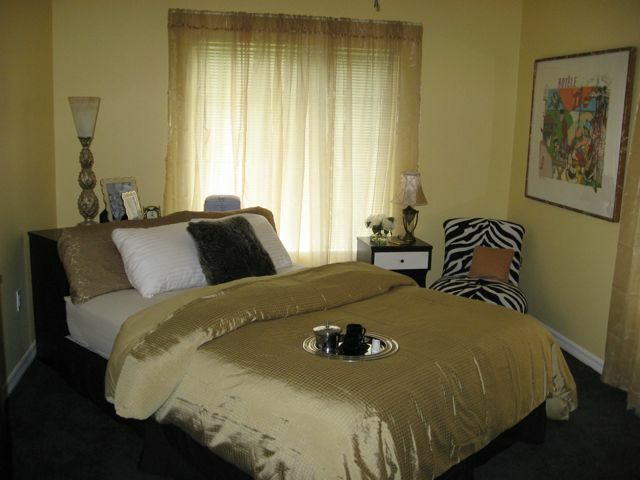 Again, using ivory curtains pulled closed behind the bed creates the illusion of a headboard. Something as simple as a piece of furniture such as a dresser can be placed behind the bed giving you a place to add accessories, photos and a lamp. 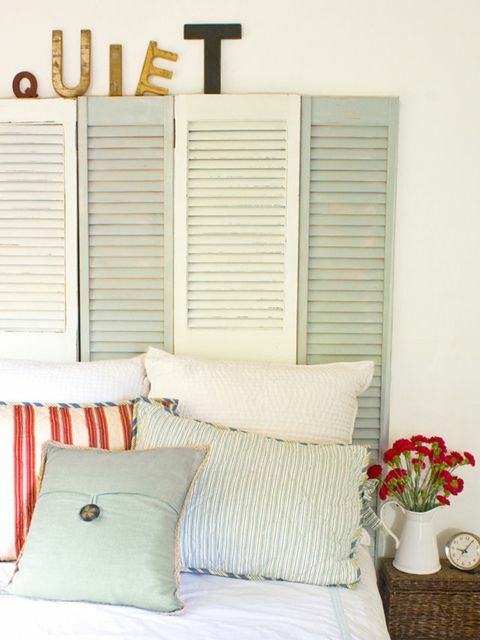 Using what you have around your house can become a creative and unique headboard. 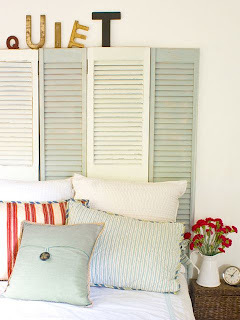 Here are some shutters that were cleaned up and painted making a big statement in this bedroom.